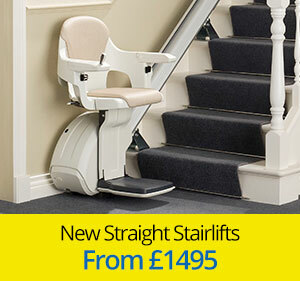 Whether you are looking for a simple straight stairlift or more complex curved stair lifts for curved or multiple flight staircases, Westwood Stairlifts have options to suit you at amazing prices, right here in Bourne. 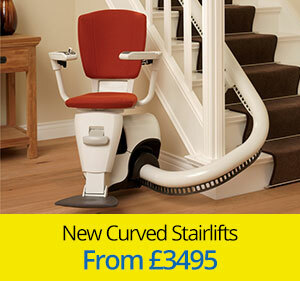 As a local independent specialist stairlift installer based near Bourne, Westwood Stairlifts have a wide range of the most advanced stairlifts – curved and straight – from the major established manufacturers direct to you at unbeatable prices. You can choose from leading brands such as Acorn/Brooks, Handicare, Minivator, Access HomeGlide and Flow all with industry leading safety features and reliability. We also have outdoor stairlifts, reconditioned home stair lifts and stairlift rental options, so whatever your needs we can help get the stairlift that's right for you. Our in-depth surveys and quotations are entirely free and without obligation to buy. If you're looking for a stairlift for yourself, a relative or a friend and you want a local Bourne company, Westwood Stairlifts can help you. Already have a quote? We’ll beat it.